Does The Post Office Hire Felons? Does the post office hire felons? The short answer is yes but with caveats. Some felons may be able to work for the post office while others may not due to a variety of reasons that are detailed in this article. Does The Post Office Hire Felons? Answers Here! After release from incarceration, most felons want what everyone else wants—a good job and a place to live! And there are few jobs which are as highly-sought after as federal jobs, because of the many benefits which go along with them. 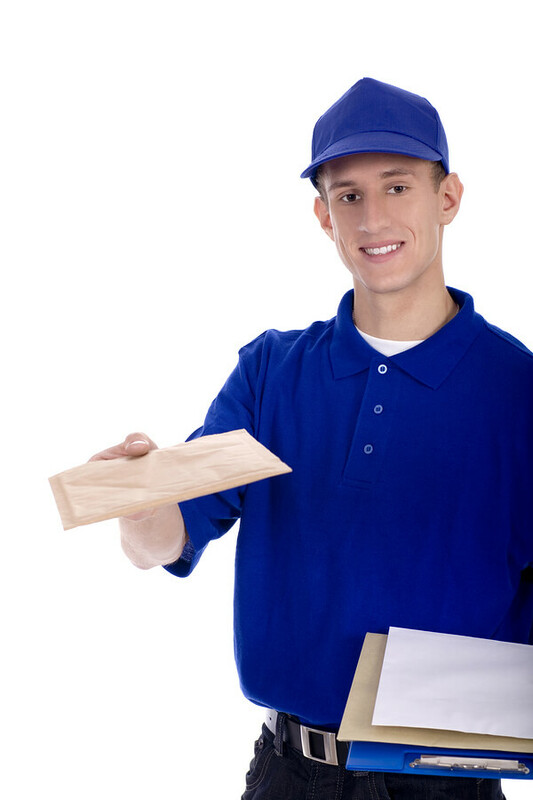 Postal jobs, for example, are often considered desirable and there are many employment opportunities with the U.S. Postal Service because of their sheer size and scale of the agency. But can a felon even apply to work for the post office? Will the post office hire felons? The answer is yes, with caveats. Still, it is worth a try! So let’s look into this a bit more, so we can learn how a felon is able to get those jobs within the USPS! First, it must be clearly understood that all applicants are going to undergo a background investigation as part of the application process. This will naturally include a scrutinizing review of criminal records, and will cover at least the applicant’s preceding five years history. The Postal Service is going to also be looking for criminal charges which are still in pending status. It should go without saying that if the felony charges were dropped or expunged, or if the records are otherwise sealed or annulled, then the applicant has nothing to worry about. But—most likely, if that were the case you wouldn’t be reading this now? Thus, it is clear that the USPS does lawfully discriminate against felons insofar as which positions the felons are allowed to apply for. The post office will only consider applicants with a proven record of successful reintegration with society, following their release from custody. In other words, if the felon continues to misbehave post-release, then they’ve severely curbed their chances of getting a good federal job! For this reason, it is critical that felons uphold their status as good citizens once they are back on the outside. If they wish to find those sought-after federal jobs, such as the ones with the Postal Service, it is incumbent upon them to keep their records clean and show to any social service agencies they’re dealing with that they are indeed trying hard to rehabilitate. Is It Worth the Effort to Apply? Yes, a felon will have a harder time going through the application process, because their record is going to be scrutinized. But the Postal Service does take the time to give all applicants a fair review. They are required by law to ensure all public applicants, no matter what their criminal history, have a shot at entering the federal workforce. They are allowed to discriminate for certain reasons, as listed above, but that doesn’t mean they will give a blanket refusal simply because of a prior felony conviction. In fact, the Postal Service objectively looks at every individually, and evaluates case by case. A felon isn’t guaranteed any special treatment, nor should they expect any undeserved prejudice. The USPS is an equal opportunity employer, and they understand all applicants—even those with criminal backgrounds—deserve to be considered for a job. Felons often have to prove their worth over and over, something they’ll probably be required to do at every turn for the rest of their lives because of their inescapable past. But the best way for them to improve their chances in terms of getting a job with the post office is to demonstrate their rehabilitation and ability to do the work. If they can do this, the USPS will look much more favorably at their application because the felon has proven their merit and suitability to hold a job involving other people’s mail and personal possessions which are being shipped or received. Again, it is important to note that, as stated above, the USPS is not allowed to review criminal records which are marked as sensitive. Thus these records cannot be used as a reason to exclude the applicant from candidacy or to dismiss the application out of hand. On the contrary, the USPS should not, in a perfect world, even consider such records at all when making their determination. If an individual believes that their sensitive records were used as a reason for unlawful discrimination, they should consider contacting an attorney for advice. What this means is that the USPS cannot lawfully keep digging into the felon’s past if the above criteria apply. They simply aren’t allowed to continue making oral or written queries about the conviction, not even “indirectly.” If it were discovered that was happening, they would open themselves up for legal action by the applicant. Since every state has its own laws and policies, we can expect that not every state is going to do things the same way. For example, in certain states, the local law enforcement agencies won’t give up an applicant’s criminal records to a potential employer until AFTER the person has been hired! This policy throws a monkey wrench in the USPS’s policy to pre-screen, however they arrived at a workaround which puts the burden directly on the shoulders of the felon themselves. In other words, in those states where the police will not provide the Postal Service with criminal records in advance, the felon applicant has to get the records themselves and turn them over to the USPS. Clearly this state policy, then, does not help the felon; it puts an undue strain on them, because of the effort involved as well as the fact that the felon will have to likely pay fees to obtain the record copies. So what was probably meant to be a policy designed to help mitigate bias against hiring felons has ended up only making things more complex…at least when it comes to federal positions. So how exactly does the USPS evaluate a felon for employment suitability? For starters, when they look over the applicant’s conviction record, the decision makers can only look at the offense for which the felon was prosecuted, not what they were charged with. Being charged and being found guilty of that charge are obviously two very different things, and so if, for example, a felon was charged with three counts of criminal activity but only found guilty of one, then the other two charges can’t be used against them. This should be fairly self-evident, but we wanted to point it out, so there’s no confusion. Instead, as we touched upon above, the applicant can only be rejected for consideration if their criminal conviction is related to their ability to currently work for USPS. It is important to understand that some states have laws regarding how far back a criminal background check can go. Here are the laws. Final notes for those who make it through the hiring process! As long as there were no lies or false information given prior to being selected by the USPS for employment, once hired, an prior felon employee can’t be fired or “denied transfer, assignment, or promotion to any postal positions—except those designated sensitive—as a result of such [criminal] records.” In other words, once they’ve made the decision to hire you, they can’t go back on it! But the hardest part is getting there in the first place!